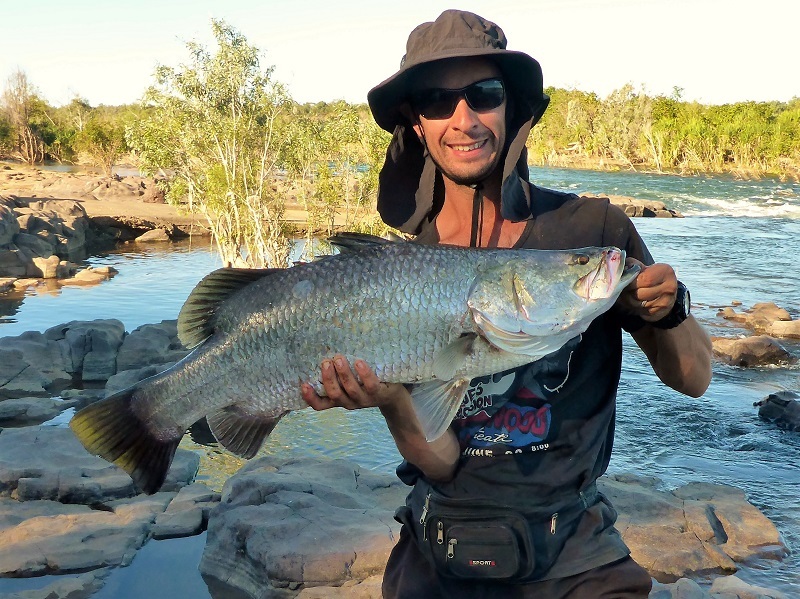 We all know catching big barra is pretty manly and tough but what about when the barra is so big it’s illegal to keep? That’s what happened at Ivanhoe crossing on the Ord River near Kununurra. 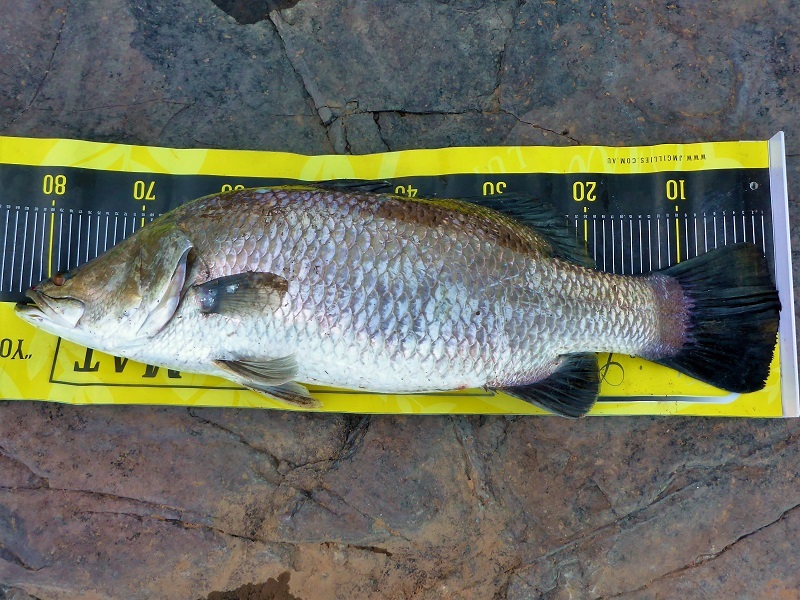 This barra had to be chucked back being over the 80cm legal limit. Not just long, this barra was fat and heavy and difficult to lift. It slipped out of my hands and managed to get the lure hooks stuck into one of the thongs I was wearing. Thankfully my outback safety boots protected me from the hooks. Apart from catching big barra, we also checked out some of the waterfalls and pools along Parry Creek Road – the dirt track alternative route back to Kununurra from Wyndham. Black Rock Falls was notable for the millions of butterflies flying about. I caught some undersized barra at a spot called Mambi Island but hardly worth reporting when I’m landing +80cm monsters. Been enjoying your recent posts — we plan to return to Henrietta ( Hilux ) and hope to drive thru nth on the cannings stock route next winter. Must be getting warm for you guys now ? Do you swing Sth again soon? Hi Bruce canning stock route nice one. I haven’t done it but it’s on my list. Could even end up doing it next winter too on our way home. Yes it’s already too hot up north, we’re pretty behind on the blog and we’ve already left the Kimberley. We’re hitting up the east coast and making our way down to catch the ferry for summer in Tasmania.